WHAT A HIKE. Hike 12 encompassed several trails from my weekend away on the Olympic Peninsula in Northwest Washington. For this, I'm taking all the little hikes I did over two days and counting them as one for record keeping purposes, as many were at just about a mile. It's amazing - as I look back at previous hikes, they were longer but much less impressive. A mile on the Olympic can blow your mind. 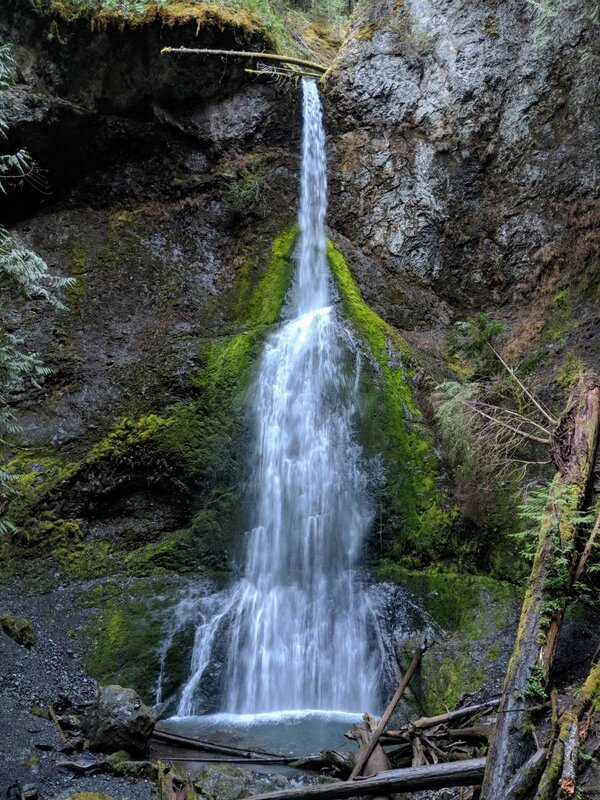 Marymere Falls: This trail started at the Storm King Ranger Station and goes through a tunnel, under US-101, and follows the river back to a couple of bridges and some stairs to a waterfall viewing area. The sound of rushing water, the bright green undergrowth, and the moss covered logs all accompany you along the path. Take your time, take it all in. Mt. Storm King: This trail branches off of the Marymere Falls path and goes straight up! I climbed about 17-1800 feet in 1.4 miles, and I didn't make it to the very top due to wind and lack of confidence. BUT, I did make it up past the marked trail and had excellent views. If you don't mind heights or just love hills, this is the trail for you. It begins with sweeping switchbacks and transitions to more straightforward and steep trails. 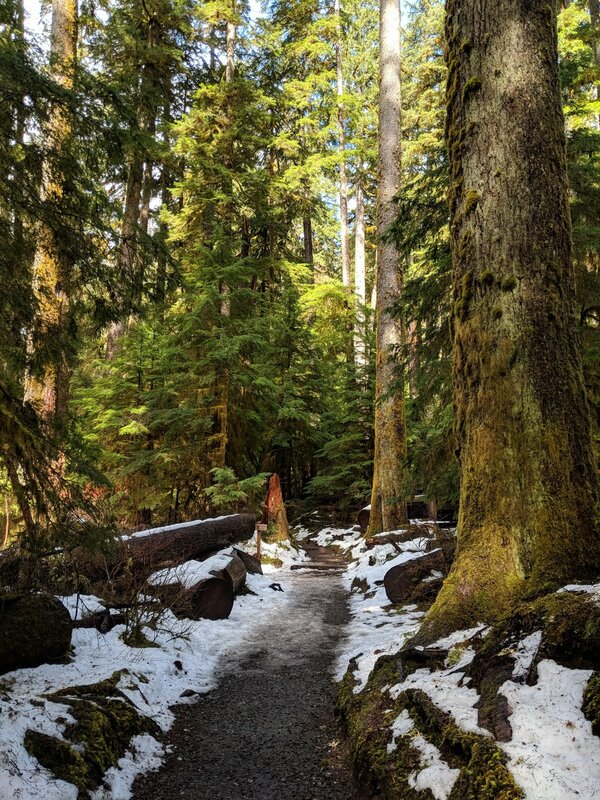 Sol Duc, Hall of Mosses, and Maple Glade: These trails are rainforest hikes! The Quinault Rainforest area houses the Maple Glade and by far my favorite. The time spent in these areas was magical. I have never felt so grounded and free-spirited all at once. If you get a chance to hike in the Pacific Northwest, DO IT! Sending everyone happy trails ahead.